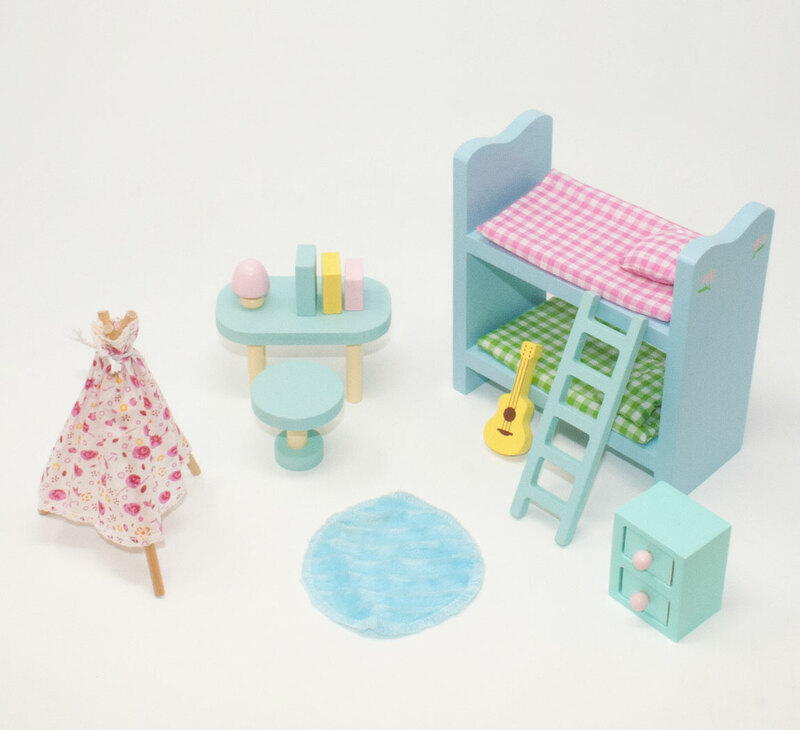 The Sweetbee Children's Bedroom furniture set is perfect for creative dolls! 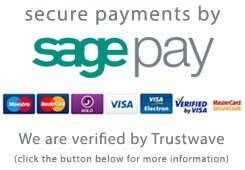 They can explore their musical talents with their very own guitar, relax and read story books on the comfy rug, or pretend play with their very own wigwam play tent! And after all this activity, they'll love winding down on the fun bunk bed with cosy duvets and pillows. 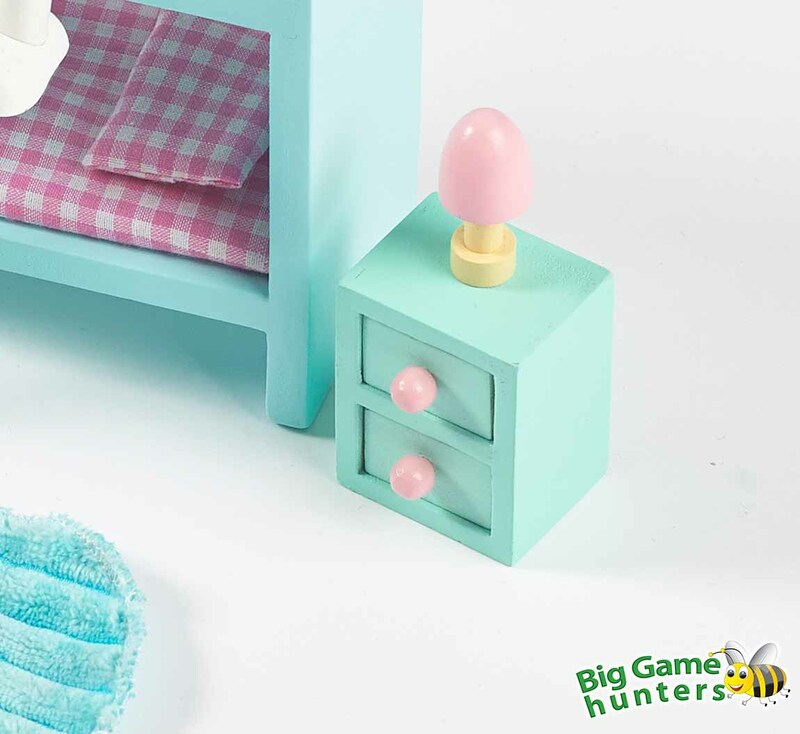 Part of the Sweetbee Dolls House Furniture range, the Children's Bedroom Furniture set comes complete with a variety of exciting accessories for pretend play, bringing lots of fun to any dolls house while encouraging imagination and creativity! 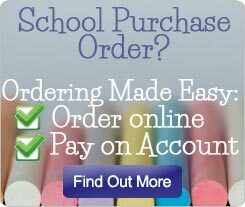 The accessories are made with chunky pieces of wood and are painted with beautiful pastel colours, so they're durable, easy for little fingers to grip, long lasting and look beautiful in any children's dolls house. The colour coordinated fabric accessories are soft to touch, providing different textures for the little ones to explore while also bringing extra comfort for the dolls! 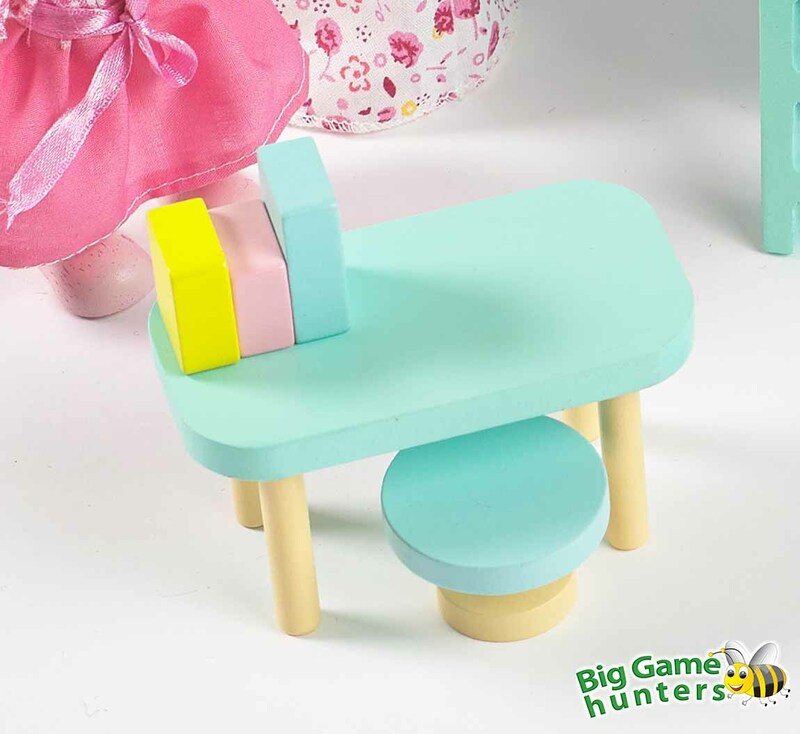 This charming furniture set can be played with any of our dolls houses, furniture sets or accessories. 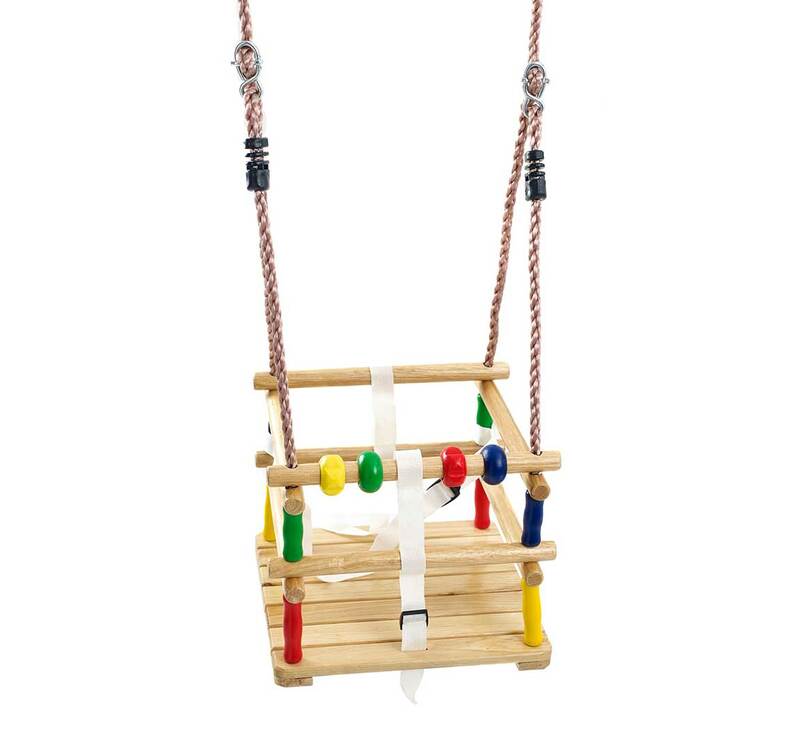 The little dolls will have so much fun in their new bedroom! 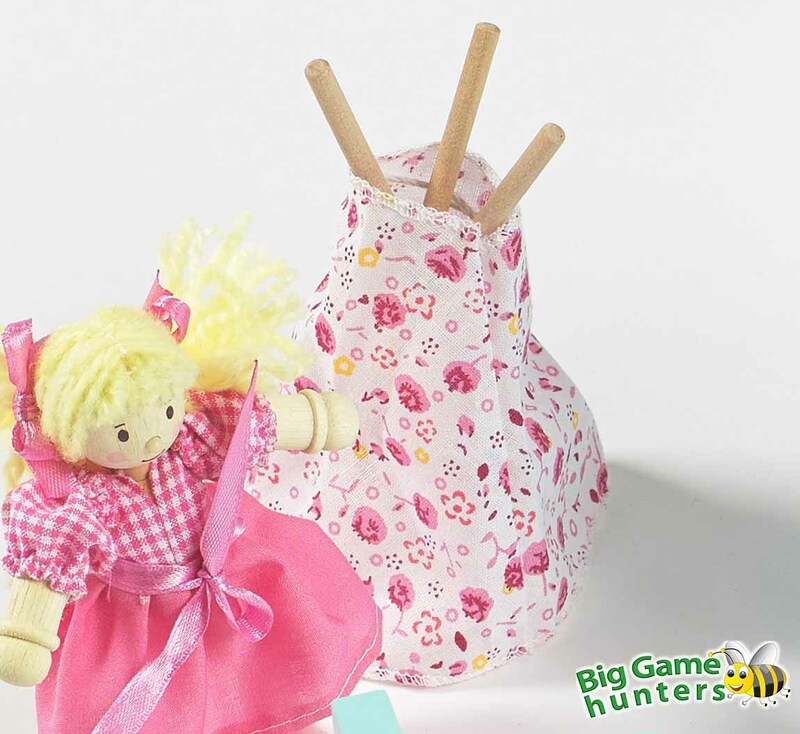 Includes beautifully detailed fabrics that are soft to touch, durable and comfy for the dolls! 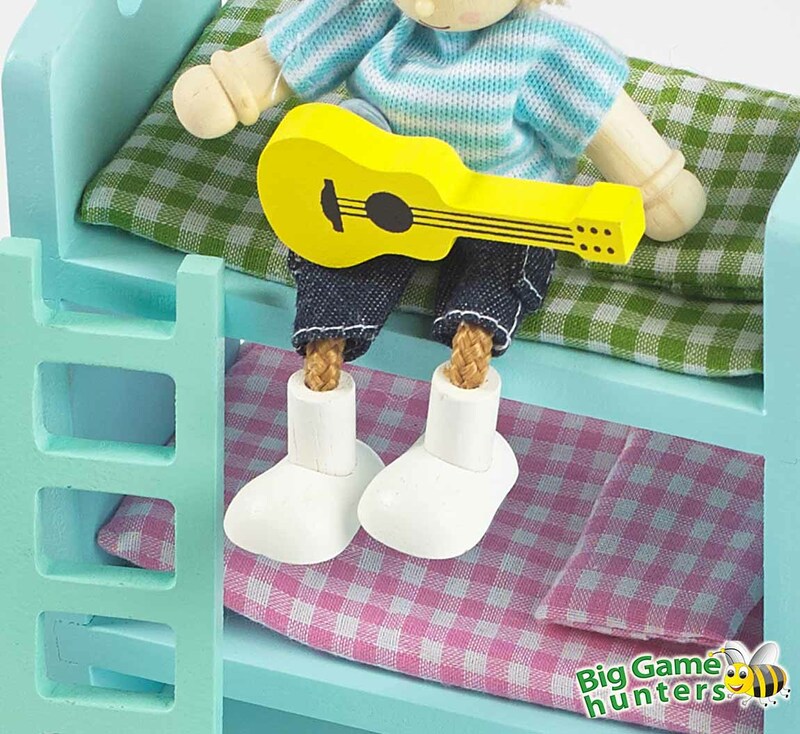 As well as a fun bunk bed with comfy duvets, there’s a wigwam play tent and even a guitar!